In between Sustainability Salons, Putting Down Roots will host a local gathering to learn more about the Green New Deal through an official livestream event! Sunrise is building public support for the Green New Deal so that we can elect a candidate that champions it in 2020, and make it law in 2021. Livestream watch parties will take place across the country in order to bring even more people into the fight and get everyone ready to move forward together. Join us on Feb. 5 as we gather to push the fight for clean air & water, and good jobs for every single person across the country. We need everyone to take action to show our legislators that we're serious about climate and they need to be too. Whether or not you can come to our gathering, there are other opportunities for participation... In conjunction with the Green New Deal, 350.org has organized a petition to Congress encouraging climate action. Please consider signing it! Also, on Friday there will be a couple of letter-delivery actions in support of climate-protecting legislation and rejection of fossil-fuel money -- to Mike Doyle in the morning (led by local activist Nancy Bernstein), and to Bob Casey in the afternoon (not sure who's leading that one). Bring signs if you have 'em, and join in! 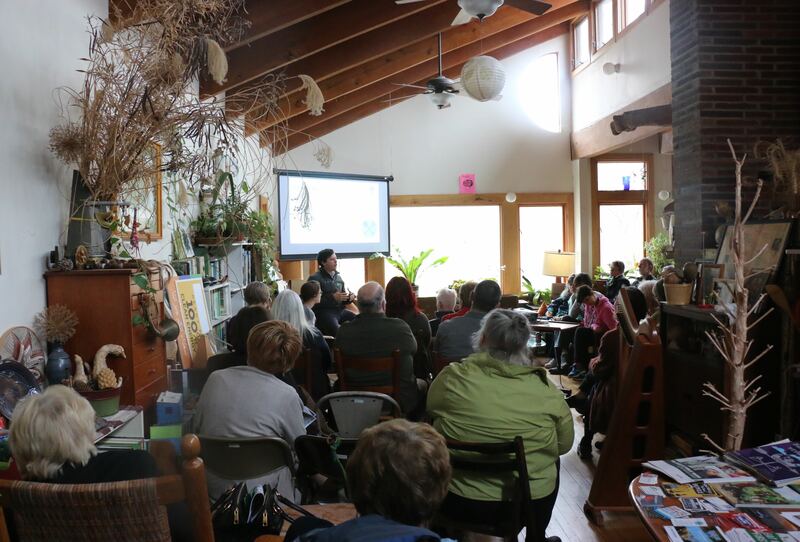 The next Sustainability Salon will be on February 23rd. 7-10 at our house in Frick Park (livestream begins at 8, doors open at 7). No supper at this event, but feel free to bring snacks/drinks to share. Please be sure to RSVP!. (Directions & Other Info will come after you RSVP -- this time, automatically via the Sunrise site.) Thanks!